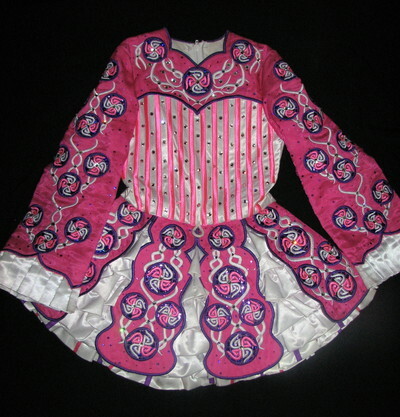 One owner Siopa Rince solo dress. Hot pink satin with sheer overlay, white satin with purple accents, 4 panel over ruffled skirt, soft cape in good condition. Suitable for prizewinner dancer. 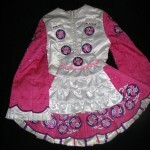 Includes 2 headbands, crown, and bloomers. Stored flat. Comes from a smoke free/pet free home. Additional pictures available upon request.